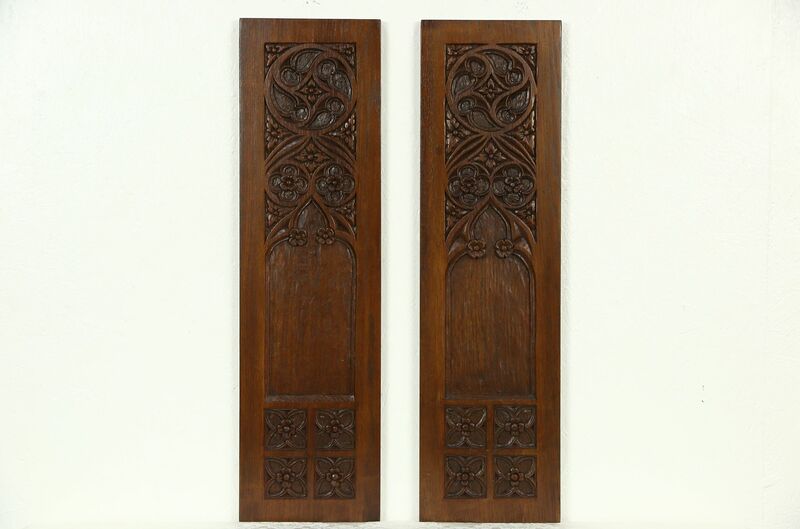 A pair of architectural salvage fragments were hand carved in Holland around 1900 of solid oak. The chisel marks of a master carver are visible on these antique panels. The original finish is in excellent condition. Measurements are 8-3/4" wide, 3/4" deep, 31" high. Please view 4 photos at full screen size for best detail.